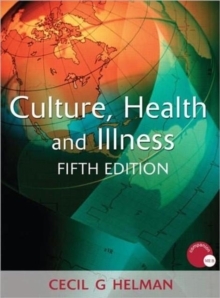 Culture, Health and Illness is the leading international textbook on the role of cultural and social factors in health, illness, and medical care. Since first published in 1984, it has been used in over 40 countries within universities, medical schools and nursing colleges. This new edition meets the ever-growing need for a clear starting point in understanding the clinical significance of cultural and social factors. The book addresses the complex interactions between health, illness and culture by setting out anthropological theory in a highly readable, jargon-free style and integrating this with the practice of health care using real-life examples and case histories. Fully revised throughout, the fifth edition has expanded its coverage of topics that are challenging both the patient and the carer's understanding of health and illness: poverty and inequality of healthcare, genetics, biotechnology, the internet and health, chronic diseases, drug-resistant infections, changes in nutrition and body image, medical care of migrants, medical technology, global pandemics such as AIDS and malaria, drug and alcohol dependence, and patients' 'languages of distress', a complex topic central to the doctor-patient relationship. In today's world of increasing cultural, religious and ethnic diversity of populations, Culture, Health and Illness is essential reading for students of medicine, nursing, psychiatry, public health, health education, international health and medical anthropology, across the globe.